PST Splitter - Transfer Outlook files or use as a PST backup tool. Move Outlook data to PST archive. Move Outlook data to a separate PST file Create PST backup before you transfer Outlook files. 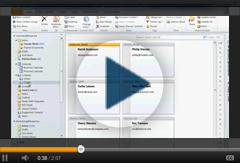 Archive data automatically and transfer Outlook files easily using PST Splitter. The PST Splitter Pro features allow the users to choose whether they want the archived data to be copied or moved to another PST file. If you choose an option to move Outlook data, PST Splitter will create a new PST file and move the specified data to it, which makes the archived data no longer accessible in the default PST. If you want to save your Microsoft Outlook space and keep only the most important data, moving data is the best choice. In this way all your information will be stored in a separate file and can be accessed at any time. However, it will not use resources of Microsoft Outlook. Transfer Outlook files created by PST Splitter to another PC and import it to Outlook as usual. Move Outlook folders to archive PST to save space and increase the speed. For example, archive old emails pertaining to folders of a project that is already over. If you decide that some data is not used often and only takes space in your Outlook, you can always move a part of the data and store it in a safe place. After splitting, you can transfer Outlook folders stored in the archived PST file to another PC or connect it to Microsoft Outlook on the same computer and access it when needed. You can also open and view PST files with our OST PST Viewer tool, which helps you manage PST OST files without Microsoft Outlook installed. Create PST backup automatically before splitting. 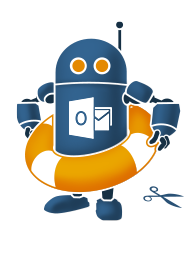 PST Splitter allows you to create PST backup containing the existing data of Microsoft Outlook. When the option to move the data to a destination file is selected, ‘Make backup of original file’ before splitting is chosen by default. We recommend that you keep it this way for your data safety. It allows you to get back to the full file you had before splitting it, in case wrong parameters are chosen by mistake. Simply import the backup PST file to Outlook and the data will come back to the previous stage. In case you didn’t create a backup and you need to merge PST files, check out our PST Merger. I have been using PST Splitter and I am impressed. I find the installation process to be very user friendly, a pleasure to use. In few clicks this tool helped me to split my Outlook data according..."